Heavy police presence at Rishon Lezion courthouse for remand hearings of 44 suspects arrested in massive probe into organized crime. The Magistrate's Court in Rishon Lezion was set to become a massive police fortress on Tuesday morning, with the remand hearings for 44 suspects arrested Monday in a far-reaching operation against organized crime in Israel. The operation, known as Case 512, targeted members of Israel's biggest criminal organization and its affiliate organizations. The investigation itself had an international focus, involving a number of countries, and resulted in evidence for crimes involving weapons and drug trafficking, as well as various crimes typical of criminal organizations. Given the severity of the charges - at least seven murders and eight assassination attempts as well as the weapons and drugs offenses – the court is likely to extend the suspects' remands, thereby giving the police a chance to move ahead with the investigation. This is also common in high profile cases. This case is being handled by the National Unit for International Investigations and the Tel Aviv central investigative unit, and is the most extensive probe into criminal activity in the last decade. Remand hearings for such a large number of suspects will be a complex logistical operation. More than 100 detectives, riot police and undercover officers were to be deployed around the courthouse from the morning hours. A special operational plan was implemented to cater for the mass disarray among the criminal organizations whose leaders have been arrested, and out of concern that there would be an attack on a suspect who could potentially cause "damage" to senior members of the criminal world. Among those who were set to appear in court were the suspected head of a criminal organization and five suspected senior members of organizations that emanated from it. Due to the unprecedented number of detainees, the police have reserved two halls in the court. Police are also preparing for the arrival of relatives, friends and "soldiers" from criminal organizations who are still free, and who want to support the detainees. The police have also taken into account that the shock over the arrests will very quickly switch to anger in light of rumors about the conduct of certain suspected criminals in the case. "Years of patience have paid off for us and now the criminals realize that," said a senior officer involved in the investigation. At this stage there is still ambiguity about most of the details of the investigation, in order to keep key areas of it from the suspects, but underworld is already beginning to understand that this affair is not like previous waves of arrests among the criminal organizations. While details remain under gag order, police chief Danino claims 'one of the biggest' investigations in Israel's history. Israel police announced Monday morning that a massive investigation into central crime organizations led to the arrest of some 50 individuals. Police claimed that the arrests are connected to several of the worst murders that have happened over the last couple of years. Police Chief Yohanan Danino spoke earlier in the morning at a conference of the Israel Bar Association in Eilat, stating that, "One of the biggest and most important investigations that Israel has ever conducted in the field of organized crime will be reported in the coming days." Danino said that he could not explain further as the issue remains largely under gag order. In recent years, criminal organization were responsible for a series of serious incidents including killings and criminal attacks that rocked the country and remain unsolved to this day. Danino praised the Israel Police saying, "We've seen a dramatic decrease in crime. Serious and organized crime as well as murders were at their lowest levels in two decades as were robberies and criminal shootings." "You're not reading all of these things," said Danino. "Last week I read a headline: Every three days someone is murdered in Israel. In the subhead: The good news is that this is the lowest number in the last two decades." Danino said that the murder rate in the US is 4.5 times higher than Israel of every 1000 residents. During the last year, he said, there were even fewer murders in Israel than in Switzerland. Danino also said that the effort against organized crime includes attacking funding of the criminals, an effort he says he's worked on his entire career. 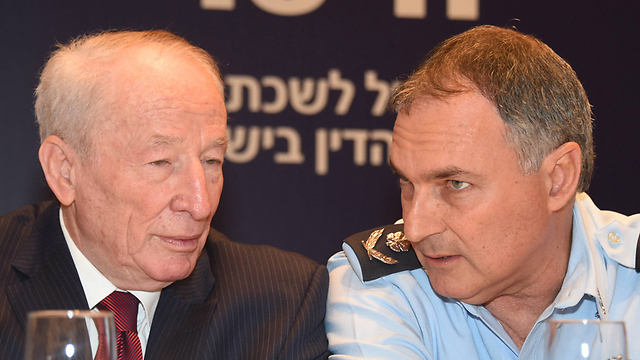 "Last year we laid our hands on NIS 434 million in the fight against criminals in Israel. We've invested a lot in serving the public." "It's important for you to know that you have quality police," continued Danino. "For whoever wants, I'll show him the evidence outside. I all the evidence and it's enough for you to see the telephone calls I get from police chiefs around the world." Haaretz, Israeli newspaper reported today Sunday Feb. 16 2013 that the real estate purchasing arm of Amana, the organization behind illegal West Bank outpost construction headed by a jewish terrorist Zeev (Zambish) Hever from the terrorist group Gush Emunim, bought parts of a disputed area in the Beit El settlement in 2013 from a Palestinian man who has been dead for years. 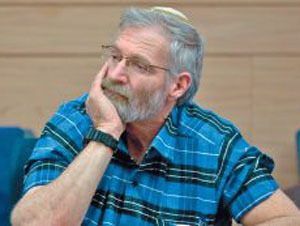 The current housing and construction minister, Uri Ariel, was Amana’s general secretary in the 1980s. The allegation is detailed in documents sent to the police in a request to investigate the purchasing arm, Al-Watan. In the summer of 2012, five buildings in Beit El’s Ulpana neighborhood were demolished following a petition to the High Court of Justice by Palestinians who owned the two lots at the site. Last week Army Radio reported that Defense Minister Moshe Ya’alon had given Al-Watan a permit to register parts of one of the lots under its name. Al-Watan’s main owner is an Amana subsidiary, Binyanei Bar Amana. Al-Watan seeks to buy land in settlements where High Court petitions by Palestinians are pending; this would obviate the need to evacuate those lands. 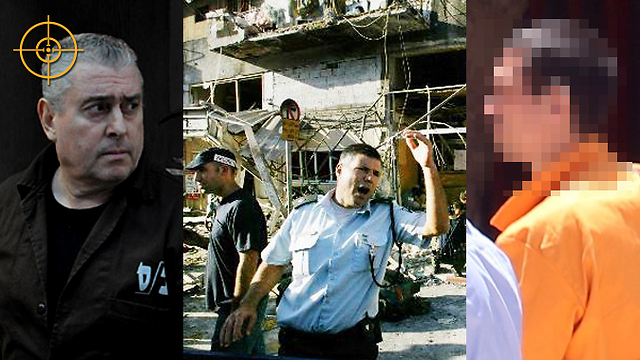 Al-Watan’s directors are Ze’ev “ Zambish” Hever, a longtime leader of the settlement enterprise, Amana’s treasurer Moshe Yogev, and an Amana employee, Hananya Nahliel. Hever declined to comment for this article. Al-Watan has claimed that it bought a Palestinian house on the outskirts of the settlement of Ofra, but the district court ruled that the deal was forged. Al-Watan also says it bought land at Giv’at Asaf, Amona and Migron. All of these transactions are being investigated by the police. Regarding the Ulpana neighborhood, documents submitted by attorneys Michael Sfard and Shlomi Zacharia, who are representing the petitioners for human rights group Yesh Din, raise questions on the legitimacy of the Al-Watan purchases. In January last year, a front man allegedly bought the land on which Ulpana sits from its Palestinians owners. A few months later the man allegedly passed the land on to Al-Watan. But according to the documents submitted by Sfard and Zacharia, the man stipulated had died years before. In June, the man allegedly bought land in another part of Ulpana, from a different Palestinian. But according to the documents, this Palestinian lives in Jordan and says no one ever approached him about the land. Sfard and Zacharia want the police to launch a criminal probe on suspicion the purchases were forged. This is not the first time Amana and its subsidiaries have claimed ownership of land in the Ulpana neighborhood. Amana has said that in 2000 it bought land at the site, but after the police determined that the purchase was fraudulent, the land was not transferred to Amana’s name. In 2011, Amana claimed in district court that it owned a lot in Ulpana, in an effort to obstruct the evacuation of the neighborhood. The court rejected the claim. Amana was founded in 1978 as the settlement movement of Gush Emunim. It is registered as a cooperative society, located on Paran Street in Jerusalem’s Ramat Eshkol neighborhood. The current housing and construction minister, Uri Ariel, was Amana’s general secretary in the 1980s. The organization’s activity is conducted largely through a subsidiary, Binyanei Bar Amana. According to the division between the two, Amana plans and initiates the construction projects, wields political connections and obtains authorizations or devises means to sidestep the law; Binyanei Bar Amana does the actual construction. Almost all of that construction takes place in the West Bank. With the exception of isolated villages – such as Bar Yohai and Or Haganuz in Galilee, and communities for former residents of Gush Katif (the evacuated Gaza Strip settlement bloc) – all of Amana’s construction is being done across the Green Line. Hever became the society’s general secretary in 1989. Hever, whose original name was Friedman, was born in Ramat Gan and joined Gush Emunim at a young age. In the 1970s, he was secretary of the regional council of Kiryat Arba, an urban settlement abutting on Hebron. As a member of the Jewish terrorist organization, he tried to place a bomb in the car of Dr. Ahmed Natshe, a political figure in Hebron. A barking dog frightened Hever and his accomplices, however, and they hid the bomb. It was discovered later on and became one of the clues that enabled the Shin Bet security service to uncover the Jewish Underground. Hever was arrested in 1984 and sentenced to 11 months in prison. Like all the refugees of the Underground, he moved towards the center in the wake of his experience. As a young man, Hever held extremely radical views about the Arabs but after his prison term, he abandoned the path of violence and embarked on a career as a functionary with close ties to the authorities. About a year after Hever became Amana’s general secretary, Ariel Sharon was appointed housing minister (in the government of Yitzhak Shamir). The Sharon-Hever alignment paid off for the settlements, which underwent a building boom in this period (1990-1992). Sharon, given a free hand to build housing for the large influx of immigrants from the former Soviet Union, used the opportunity to beef up the settlements as well. He and Hever found a common language: both viewed themselves as men of action who had nothing but scorn for officials, bureaucrats, legal experts and the like. Under Sharon’s stewardship, Amana engaged in a major building drive, which would make the settlements an irreversible fact of life. The warm relationship between Sharon and Hever was unbroken. Even during the 2005 disengagement from Gaza, when the settlers felt that Prime Minister Sharon had stabbed them in the back, Hever alone remained in constant touch with him. He told friends that his approach was: Whatever can be attained, can be; and what cannot, cannot.